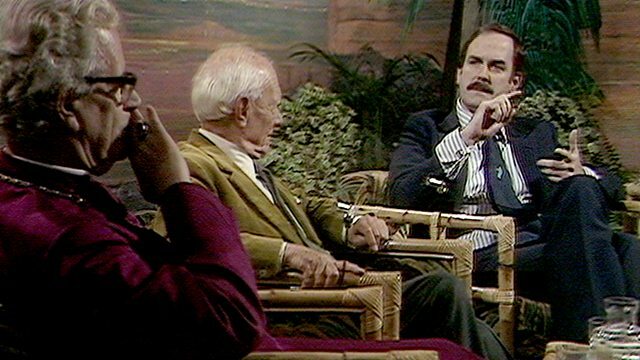 Talk show, hosted by Tim Rice and featuring a discussion about Monty Python's Life of Brian, which had been banned by local councils and caused protests. Talk show, hosted by Tim Rice and featuring a discussion about Monty Python's Life of Brian, which had been banned by local councils and caused protests. Guests are John Cleese, Michael Palin, Malcolm Muggeridge, the bishop of Southwark Arthur Stockwood, Norris McWhirter and Paul Jones and the Blues Band.